Happy Labor Day! To celebrate you and your hard work, we are offering a complimentary four-piece travel regimen (value: $122) with any $100 purchase. But act fast—due to limited availability, this offer is only available while supplies last. 1. 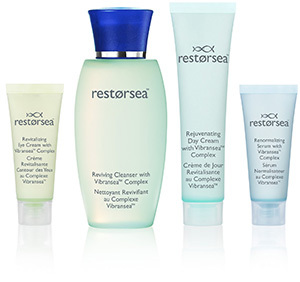 Select any Restorsea products totaling $100 or more and add them to your cart. 2. 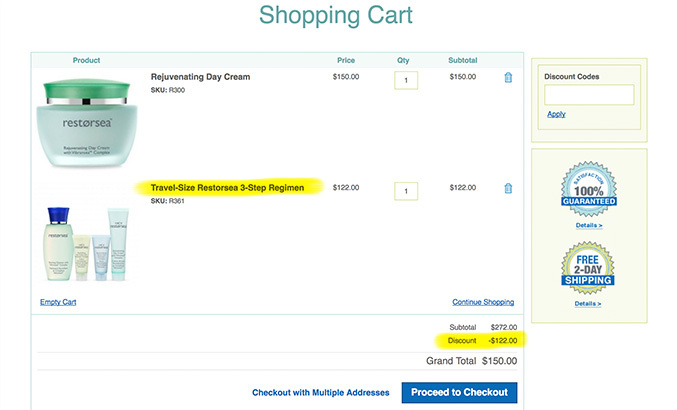 Once the items in your cart total $100 or more, the Travel Regimen will automatically be added to your cart, and your total will be discounted by $122 – no discount code required! We are closed for Labor Day but please call our office at 888-377-8282 or live chat with us or email me at pattipao@restorsea.com if you have any questions. Please note: only one complimentary Travel Kit per order, available only while supplies last. This offer cannot be combined with any existing promotions or codes. Promotion will be available starting on Labor Day.